The first awesome thematic Corpse Talk book - all about the most amazing scientists from history ever! Adam Murphy interviews the dead famous scientists who changed the world - getting their stories straight from the corpses' mouths! 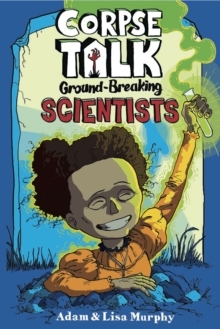 Reading Corpse Talk: Ground-Breaking Scientists is like having history injected into your brain! It guarantees laughs, surprises, and a whole host of the most astonishing achievements you'll ever discover. Don't miss out on the biggest thing to hit history since Horrible Histories!